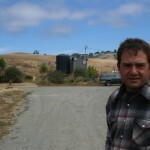 Bloomfield Organics, a 42-acre farm in Northern California, was the first farm to employ social media to sell surplus produce direct after the owner’s son-in-law found using social media could unload fast ripening produce that would otherwise be wasted. 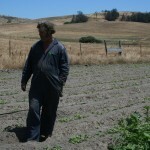 Farmers in California are struggling with record drought, and it’s proven particularly tough for small-scale farmers. This spring researchers from the University of California, Davis reported that it could cost the agricultural industry as much as $1.7 billion dollars as the drought continues for its third year. Adding to the problem is that about 40 percent of food produced on farms in the U.S. doesn’t even make it to market. Farmers often simply can’t sell their produce before it spoils and their bounty goes uneaten. But now, one social media venture in Northern California is trying to reduce food waste and keep small farms from going under. Their solution is to distribute to consumers food that would otherwise usually be thrown out. FSRN’s Jacob Resneck explains. Western Sonoma County in Northern California is dotted with pastureland, vineyards and orchards. Towering eucalyptus and grazing cattle line the vista around Bloomfield Organics, a 42-acre farm near the hamlet of Valley Ford. Bloomfield Organics has been in business for more than 15 years, beginning when organic produce was still considered a small, niche market. But like most farms, it struggles to reduce how much is wasted. A 2012 report by the Natural Resources Defense Council estimates that 40 percent of food is wasted from the farm to the dinner table. The reasons are varied but much is lost in production for a variety of reasons from labor shortages, to rigid aesthetic standards set by retailers to problems with supply lines. And the highest waste is in the fresh produce sector. “It’s unacceptable to have a mindset that food should go to waste,” said Nick Papadopoulos, the owner of Bloomfield Organics’ son-in-law. Papadopoulos started working on the farm as general manager after working as an efficiency consultant for corporations across the nation. But he says he was soon shocked by what he saw. “One third of the global food supply is completely wasted. It doesn’t get to people. You set that in the context of a growing population and about a billion people who are looking for their next meal – literally – and are food insecure to have that level of supply and that ferocious level of demand and yet the dots not being connected, that’s a real crisis as well as an opportunity,” he said. Papadopoulos says he had this epiphany in one of the farm’s walk-in coolers where unsold produce often piled up. He says the piles of unsold produce made him think. He decided to do something about it. The answer, he reasoned, was social media. Within hours, people online responded. 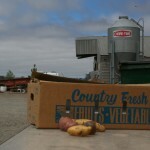 The food found a home and the farm recovered some of its costs, by selling the surplus produce at below market prices. The website called CropMobster is an efficient way to reduce food waste. The farm’s owner Michael Collins, sitting atop his tractor, says the website has really helped to reduce waste and save money. Collins says fellow farmers are getting enthused about using social media to find a market for things like ‘seconds potatoes’ – these are potatoes that may not be the size, shape or color retailers demand but still make for perfectly good eating. 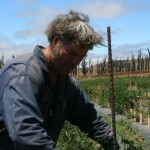 Papadopoulos eventually stepped down from the farm to run the website full-time, growing the project thanks to technology partners and steady donations. He’s also traveled to New York to attend working groups with the united nations where researchers and advocates like the NRDC attempt to find ways to reduce global food waste. It’s not an insignificant problem. The ramifications are huge for humanitarian, economic and ecological reasons. The U.S. Environmental Protection Agency reported in 2009 that in the U.S., 13 percent of all methane – a greenhouse gas that contributes to climate change – is produced by uneaten food that’s been dumped in landfills. Roughly one year on, CropMobster has seen about 400 alerts and about a thousand people sign up though it’s still limited to the San Francisco Bay Area. The site’s operators are trying to figure out how to expand its application. Meanwhile in this part of Northern California, the drought is hitting hard. On a small orchard outside Santa Rosa, orchard owner Don Rosenberg says drought has been ravaging his fruit trees. But this summer he found himself left with boxes of fast ripening apricots. So he posted an alert on CropMobster with a plea for people to take the fruit before it spoiled. “Everybody came – except for one person – came out with a box of apricots,” Rosenberg said. Rosenberg says at first he was a bit skeptical but he saw instant results. For Rosenberg it was heartening not to have to compost perfectly good fruit and also to meet people face-to-face that appreciated his work. And Nick Papadopoulos? He’s already given the CropMobster site over to his partners to work on other projects. But he says he hopes this initiative will be just one of many that helps find solutions to the food waste problem. So far, CropMobster has managed to distribute nearly a million pounds of food, which has brought in close to a million dollars in revenue for small producers. That’s good news for small farmers struggling to stay afloat and good news for people in need of affordable, nutritious food that would otherwise go to waste. Photographs copyrighted by Jacob Resneck. Veteran organic farmer Michael Collins, owner of Bloomfield Organics, says CropMobster has allowed his operation to reduce waste and tap new markets. Former private sector consultant Nick Papadopoulos founded the website CropMobster to reduce food waste after observing first-hand how much food ends up in landfills or compost.